What a see-saw of an event this was! 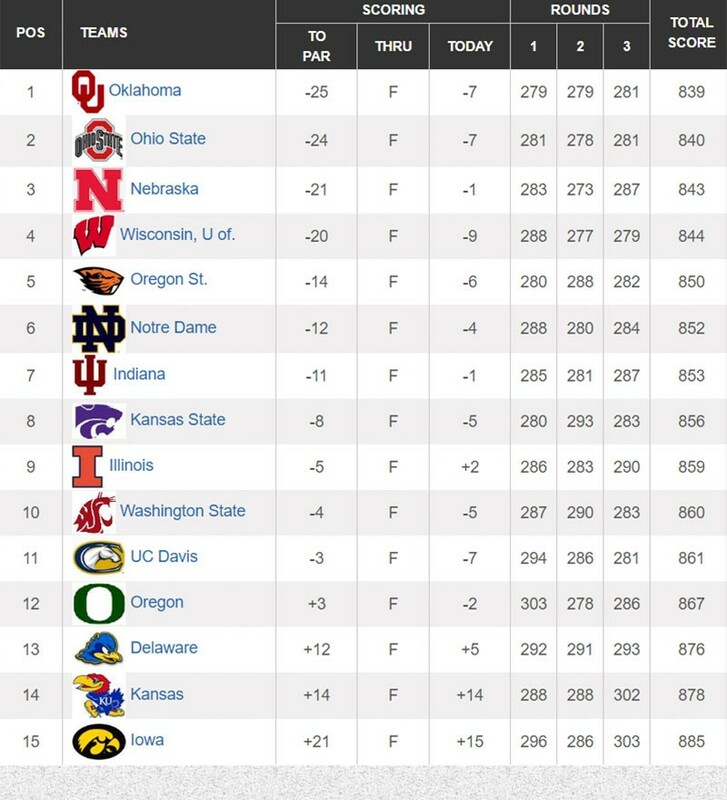 Nebraska, Oklahoma and Ohio State all had the lead at one point throughout the final round. 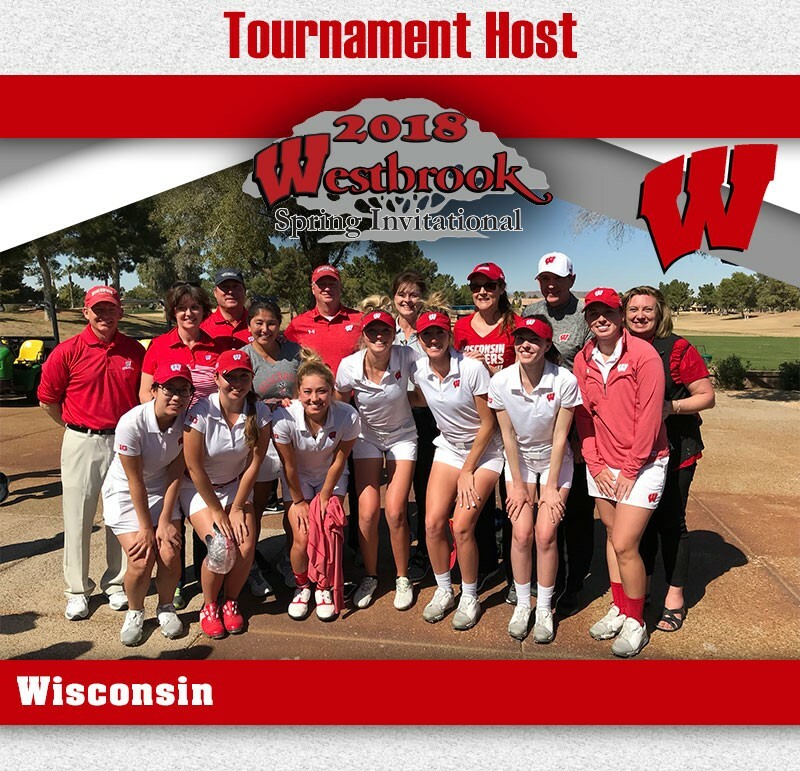 Wisconsin, who started at 11 back, had the team score of the day (-9), bringing them within a just a few shots of the lead at one point during the final holes finishing with a new school record of 844 (-20). 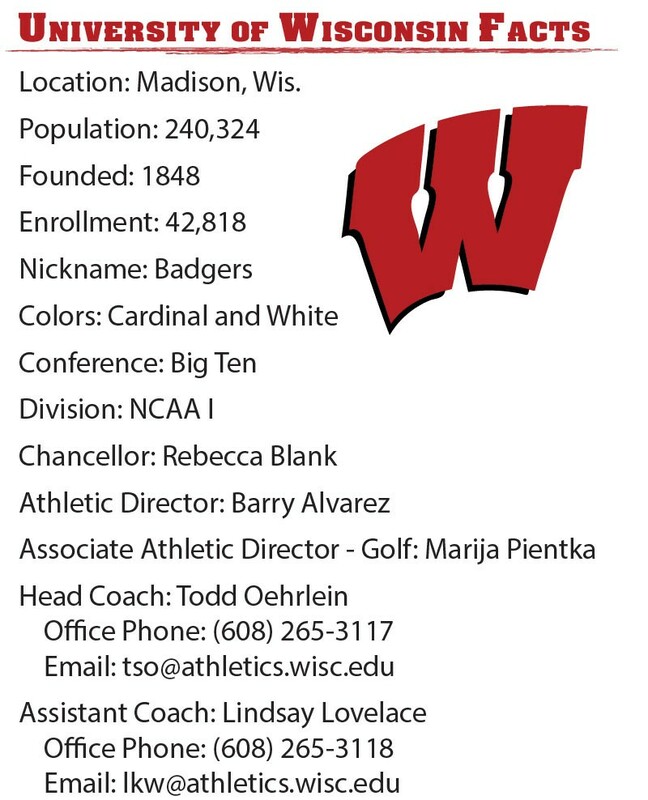 Wisconsin also had the most players in the top 15 individually with four players shooting -4 or lower for the event. 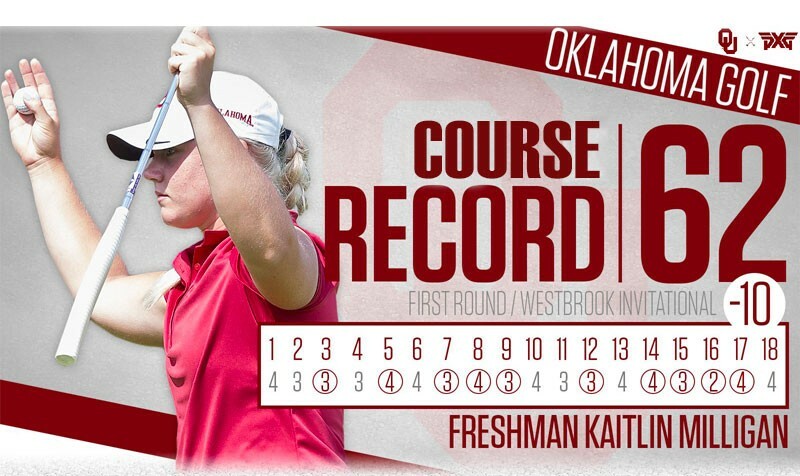 Twenty under will win most events, but not this week with the record low scoring coming from Oklahoma's Freshman Kaitlin Milligan (-17) & Ana Ruiz (-6) which propelled the Oklahoma Lady Sooners to a record breaking score of 839 (-25). Wow! Now that is a lot of birdies and eagles! 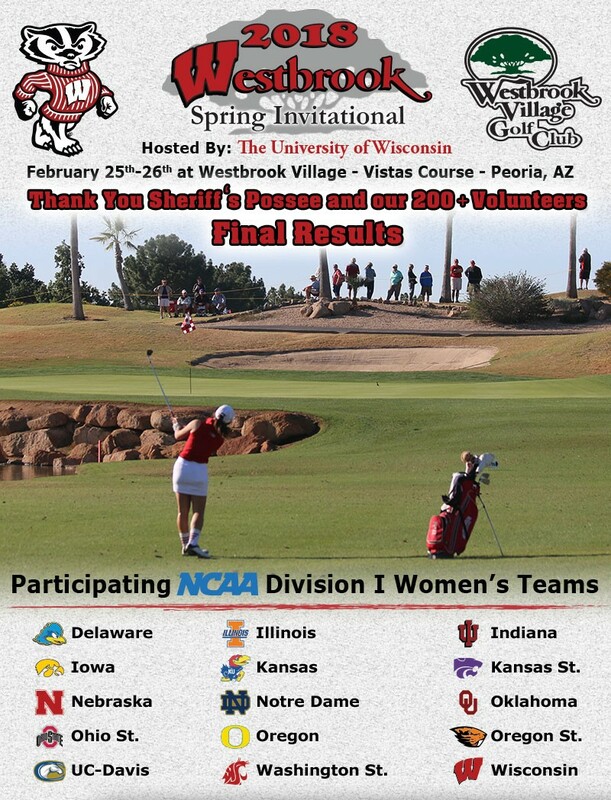 Make sure to read the Individual scores below as, Katilin Milligan came in second at -17 under! What??? No Way!! 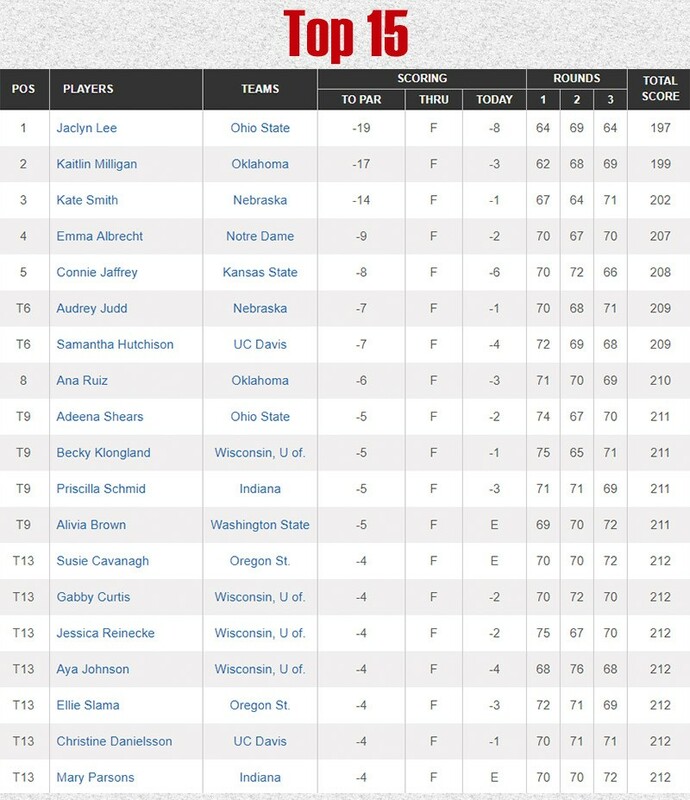 This years individual competition was a close one between Jaclyn Lee of Ohio State, New Course Record holder Kaitlin Milligan of Oklahoma and Kate Smith of Nebraska. All three players posted scores in the sixties for each round and all three had rounds of 64 or better. Kaitlin Milligan held the lead through two rounds carding a course record 62 in Rd1 and 68 in Rd2. 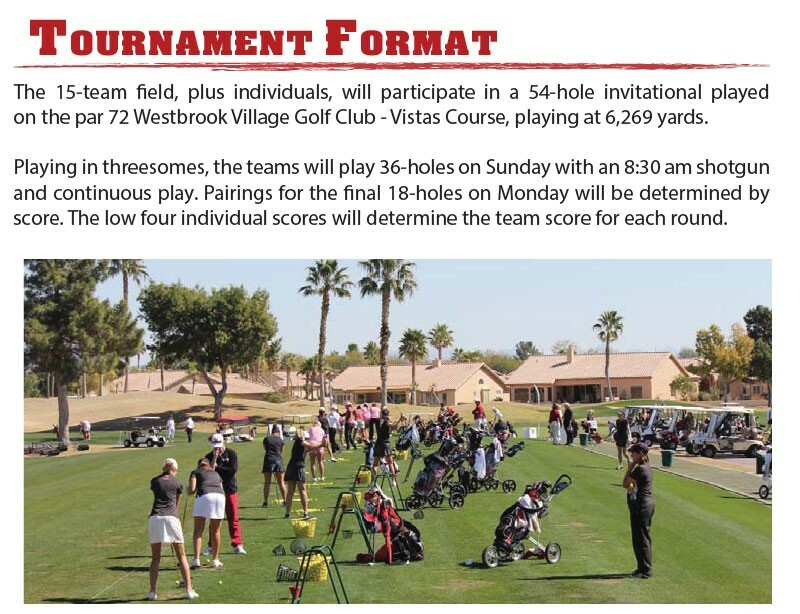 Kate Smith was just one back heading into the final round with scores of 67 - 64. 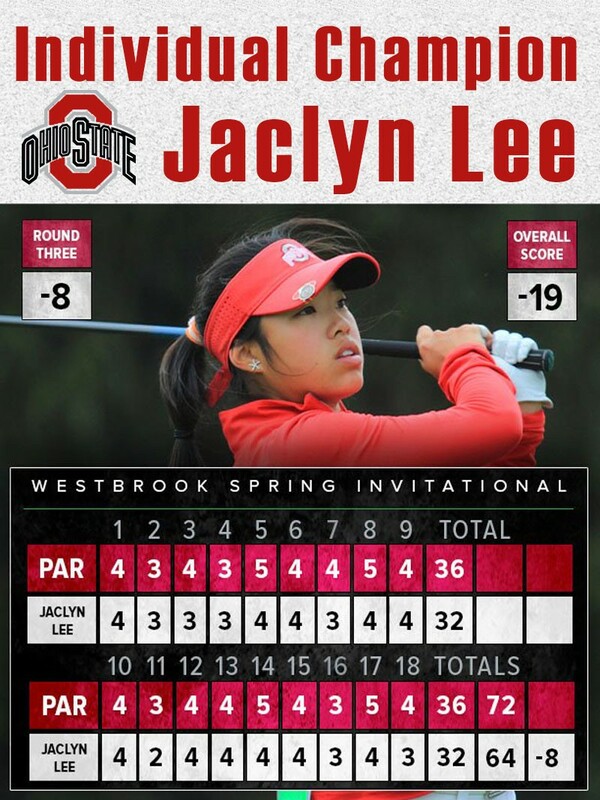 Jaclyn Lee was 3 back with rounds of 64-69. Jaclyn had come from three behind to have a one shot advantage after the opening nine of the final round with a 4 under 32. Kaitlin birdied hole 10 to tie up the match. Jaclyn swiftly answered with a birdie at the par 3 11th to go back to one ahead. Both players matched each other with pars at 12 & 13, birdies at 14, and pars at 15 and 16. Lee birdied 17 to move 2 ahead. Kaitlin, knowing she needed a birdie at the last for a chance, rolled in a 15 footer and put the pressure back on Lee who had a 6 footer for birdie and the win! Lee made the putt and shot a final round 64 (-8) to win by 2 over Katilin from Oklahoma! Amazing play from all the ladies with 37 players finishing at par or better for the three day event! 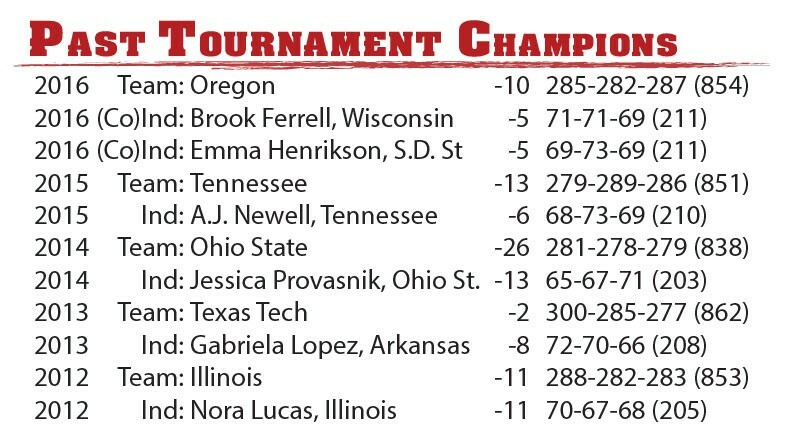 The Tournament Host, Wisconsin, had four ladies finish in the top 15 for the event. 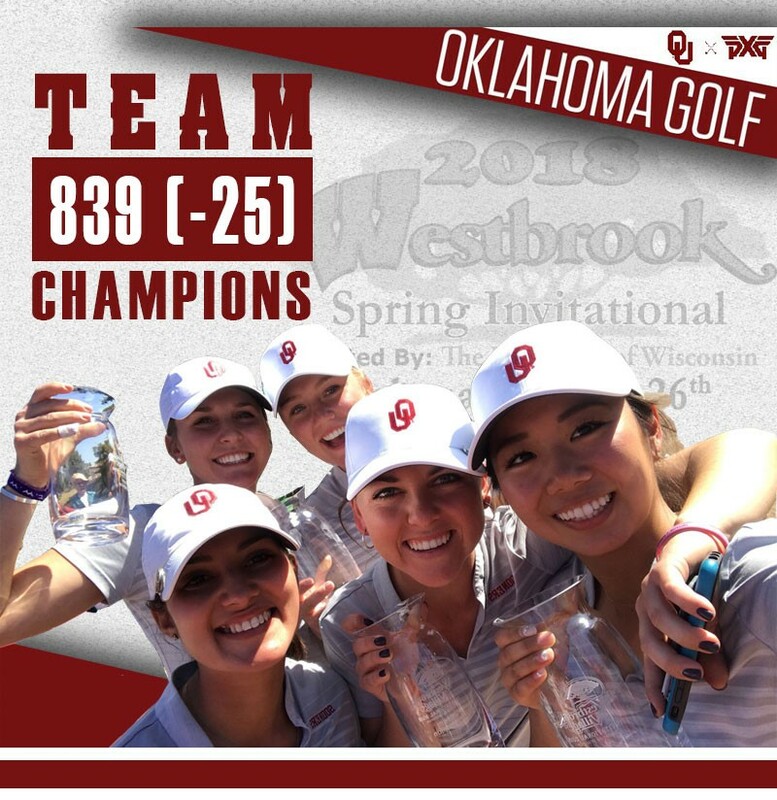 While not the low team for the event, the Lady Badgers set a new school record of 20 under par, 844, just 5 from tournament champions Oklahoma. 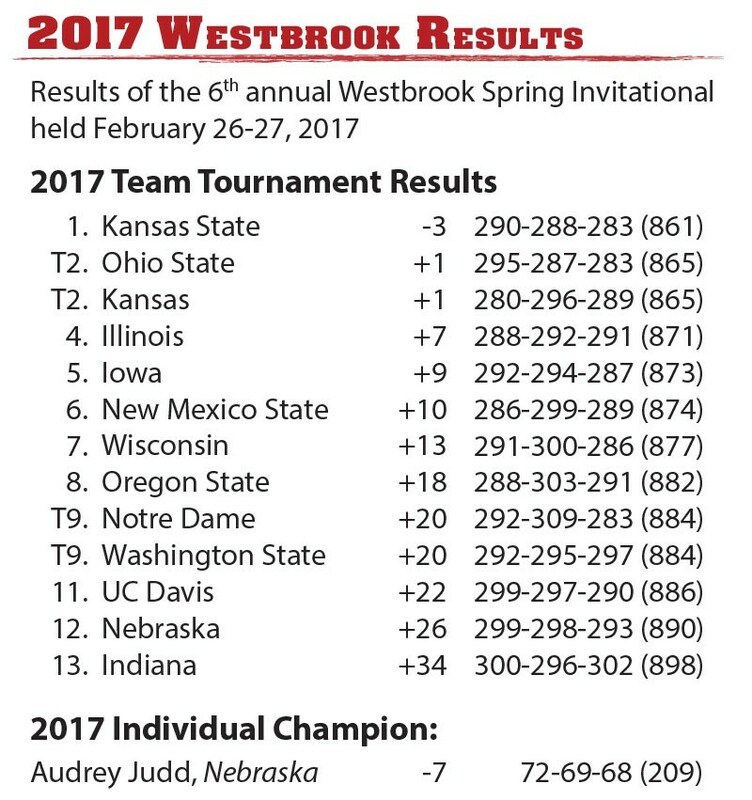 The score of 844 beats the Lady Badgers previous school record by 11 shots, which was set just six months ago. Way to go Lady Badgers, looks like they have quite the team this year!